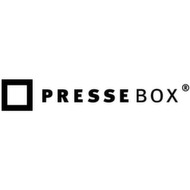 Klingenberg, 13.03.2019 (PresseBox) - LiSS appliances combine essential security functions in a single device. Sensitive corporate networks are optimally protected from viruses, hackers, unwanted email and web content. The modular system provides customized solutions consisting of an optimal hardware platform and need-based compilation of functions. One VPN module is included in the security appliances by default. High availability can be achieved by combining two devices in failover mode. For higher requirement of performance and reliability, there is the possibility of clustering. LiSS industrial series was developed specifically with application in the industrial environment in mind. The compact system works reliably in temperatures ranging from -40°C to 70°C. Through integrating optional mobile capabilities 3G/UMTS and 4G/LTE and a power supply ranging from 12 to 48 VDC self-contained operation is possible.